I am a senior double majoring in Marine Biology and Environmental Chemistry. 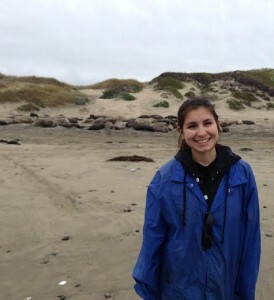 I am currently a docent at the Seymour Marine Discovery Center, co-president for the Wildlife Conservation Club at UCSC, and a co-leader for the Academic Excellence Program (ACE). Volunteering at the Seymour Marine Discovery Center has encouraged me to think about a future career in researching the chemical pollutants that often wind up in our oceans and their effects on our marine animals. After receiving my undergraduate degree, I hope to continue my education and attend Veterinary school. I have been an undergraduate researcher in the ELVer lab since the Summer of 2014 and I look forward to becoming involved in many different areas of research as my undergraduate career progresses.